Full and fun! 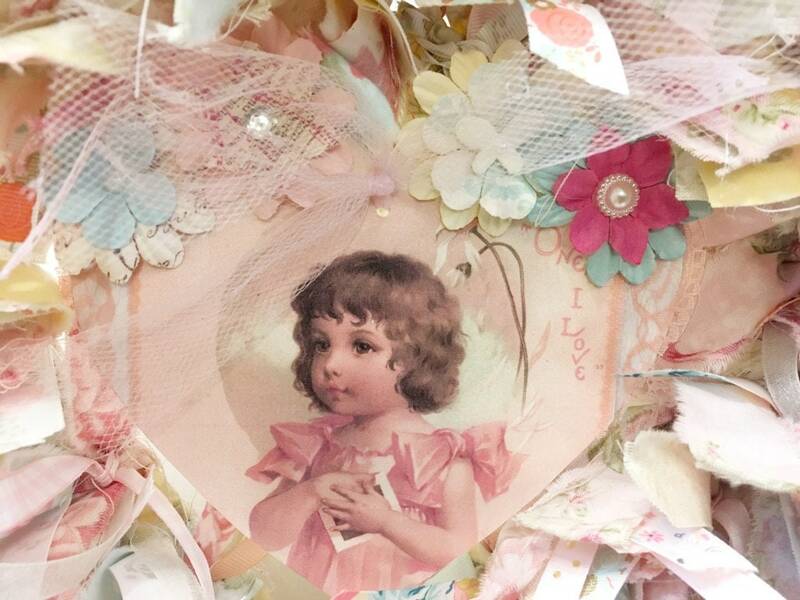 This romantic floral heart shaped rag wreath is created on a 12” metal frame form. 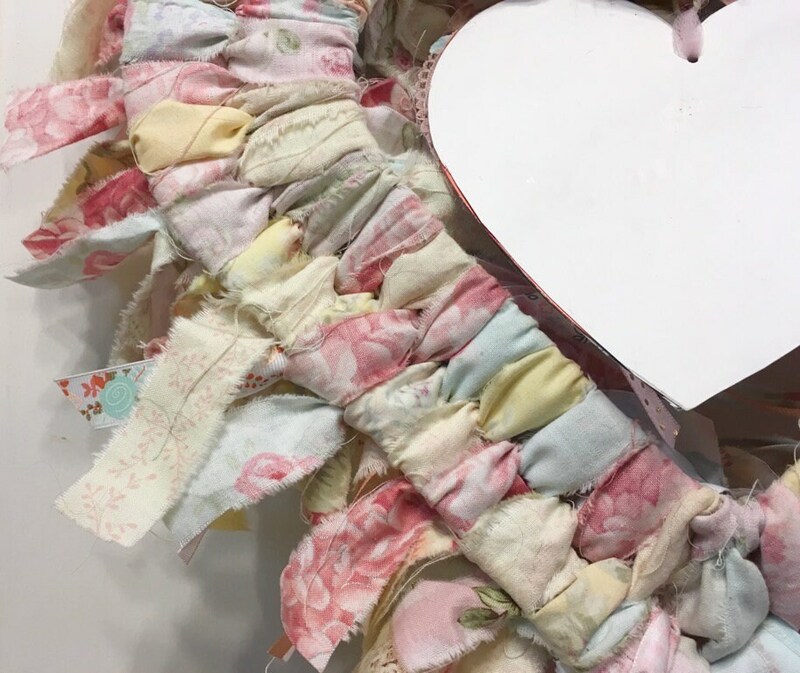 In pastel pinks, yellows, blues and white, it features a variety of soft floral fabrics, gingham, polka and lots of ribbon. 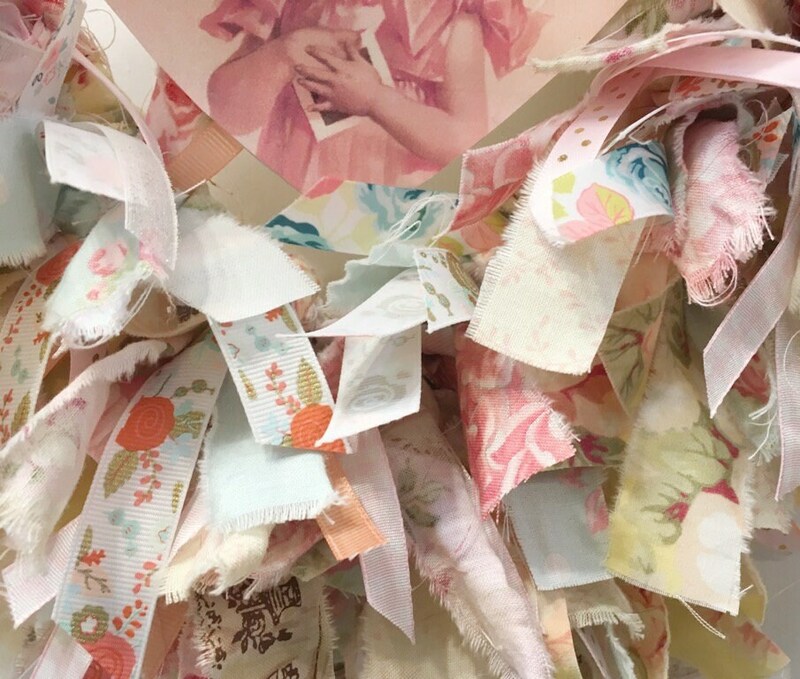 There are 220+ fabric and decorative ribbon strips. 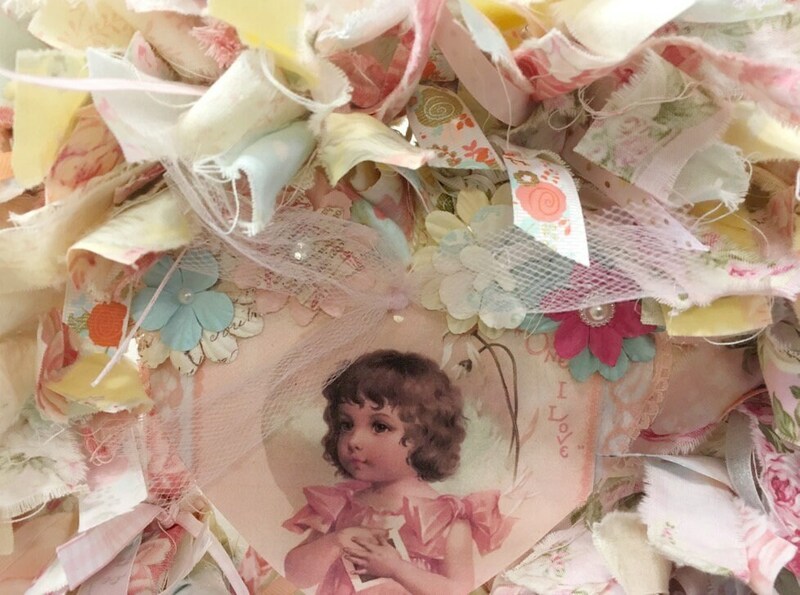 A handmade card depicting a sweet young girls and decorated in paper flowers, gems and pastel pink tulle is suspended in the center. 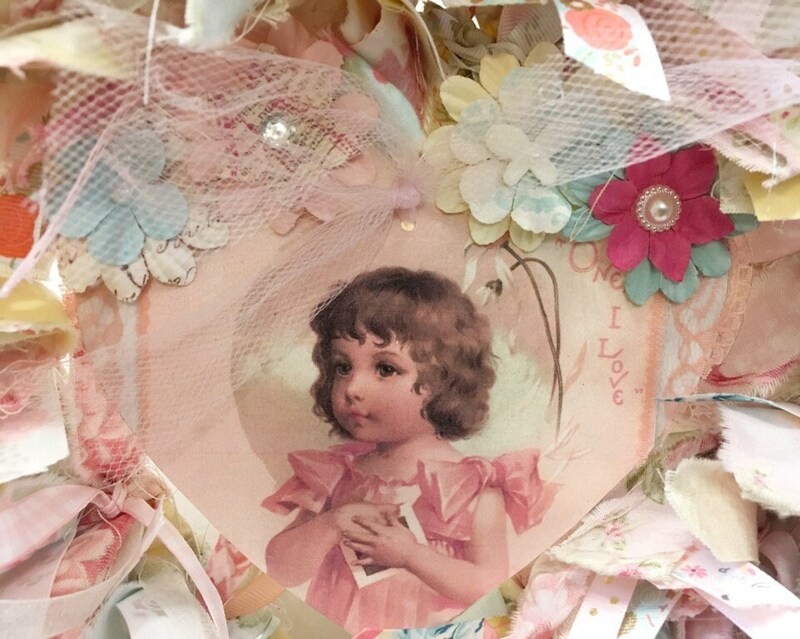 It reads: “One, I Love”. 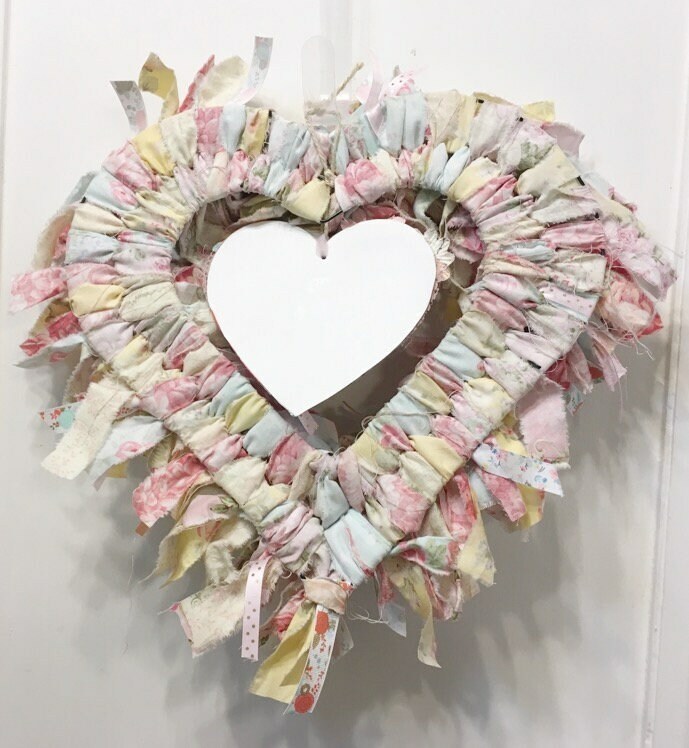 Sweet in a nursery or child’s room - charming design for Valentine’s Day, Spring or appropriately cottage romantic all year round! 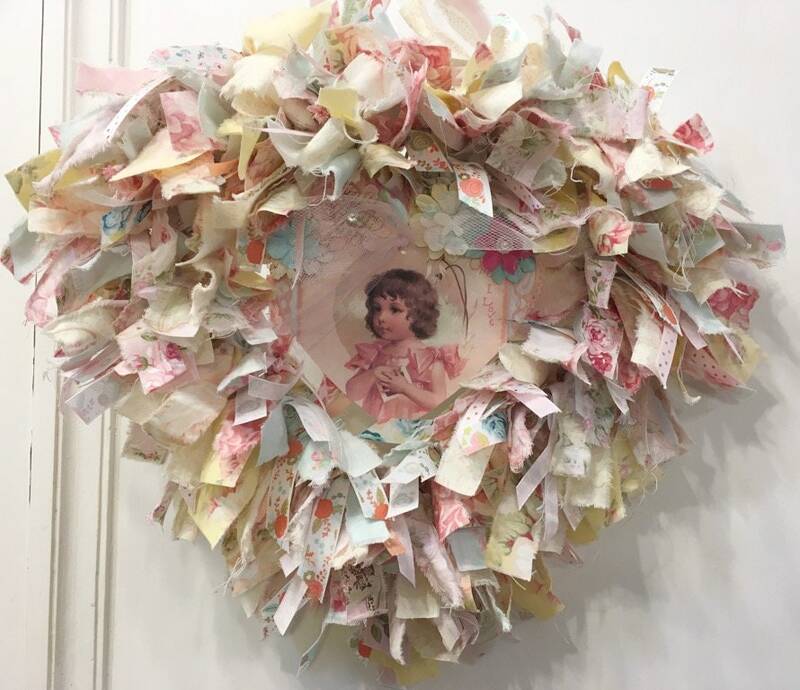 Very fine decorative details may vary somewhat.